Sign Up For Campeau Heating's Monthly Blog Today! Air conditioners and furnaces play important roles in the comfort of your home. When one of the systems is no longer working, it is easy to decide to save some money now and just replace the broken one. But there are a number of benefits to replacing both at the same time. The HVAC units that are made today are much more efficient than those that of even only 10 years ago. The efficiency of air conditioners can easily be compared by looking at the SEER rating, or Seasonal Energy Efficiency Ratio rating. The government standard for air conditioners built today is a minimum SEER rating of 13. The higher the Seer rating is, the less it will cost to run the air conditioner, because it will use less energy. Furnaces are rated on the AFUE, or Annual Fuel Utilization Efficiency. Typically, a new furnace should run at an AFUE rate of about 90 percent or higher. Heat pump and boiler systems used for homes have a number that is just slightly different than a standard furnace. The life of a furnace averages between 15 and 20 years. An air conditioner averages 12 to 15 years. The life of these units is partially based on their quality and how well they are maintained. Typically, when you mix old equipment with new, neither the old nor new equipment is able to perform as well as it should. The old unit will also cause stress to the new one, which could result in a premature breakdown. The Air Conditioning, Heating and Refrigeration Institute, or the AHRI, has stated, “When improperly matched, the efficiency and longevity of these systems are significantly compromised. When two new units are used, ideally matching or complementing each other since heating and cooling units share the same blower, they will both run efficiently and for a longer period of time. 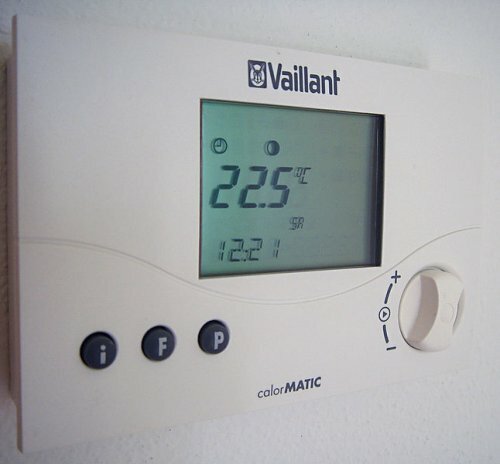 You will save money on your energy bill with new higher-efficiency units. But when you have two systems with components that complement each other, you will save even more because they’re running at a maximum efficiency level. You will likely not need any kind of repairs on your new units for quite some time. When you do, they will probably both still be under warranty, which will save you money. Also, by replacing both systems as the same time, you will not have to pay installation fees twice. Having new energy-efficient heating and cooling units can actually add to the value of your home and affect the sale of your home. Most buyers, knowing the cost to replace both a furnace and A/C system, will choose a home with newer machines. In addition, a home inspection is likely to bring up the issue of an outdated and inefficient heating and cooling system and this may make the sale of your house conditional upon the system’s replacement. While there are many advantages to replacing both your air conditioner and furnace at the same time, it may not always be necessary. We would be pleased to assess your current units and advise on the best course of action for your budget and needs. Contact Campeau Heating today for a complimentary, no-obligation assessment. The summer heat is a welcome blessing for beachgoers, but it’s not so welcome in the home. Hot nights make it hard to sleep and few people want to face a high bill from using the air conditioner constantly. These tips will help keep your home cooler and reduce energy costs. In most places, the air does cool down throughout the night, especially in the wee hours of the morning. Take advantage of this by opening the windows in all of the rooms of your home. This will cool down the entire house. Opening windows at opposite ends of the home will create natural air flow. Placing box fans in the windows can help pull that cold air into your home when there isn’t a natural breeze outside. It might seem counter-intuitive, but once you wake up in the morning, you want to close all of the windows to prevent hot air from coming into the home. Using blinds or curtains to block out the heat also works. Even if hot air isn’t directly coming into your home, the sun beating down on your windows can create a greenhouse effect. White blinds reflect the sun away from your home. A breeze can make it feel cooler than it really is, so don’t be shy about using your fans, even if you’re using air conditioning as well. If you’re using a box fan or a standing fan, place a bowl of ice water in front of it. This will give you a much cooler breeze. You should also check that your ceiling fans are rotating counter-clockwise. 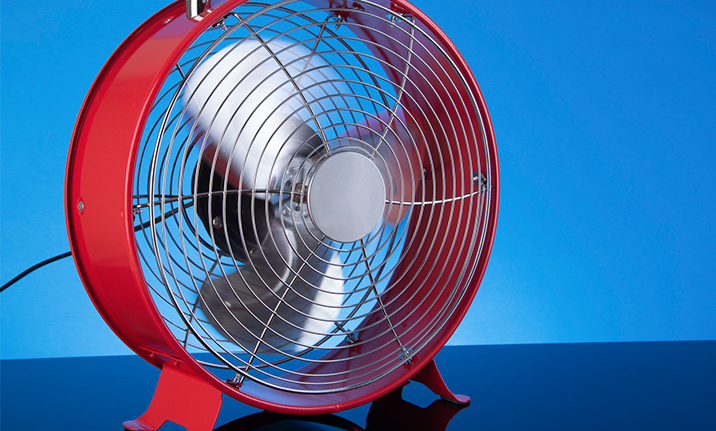 Most modern fans have two settings—one that blows down air, and the other that causes it to rise. If you’re not using a room, close the duct vents in that room and keep the door closed. This reduces the area you need to cool, which saves energy whether you’re using an air conditioner or not. Remember that hot air can seep through under the door, too, so throw a rolled-up towel at the bottom of the door or purchase a door draft stopper. 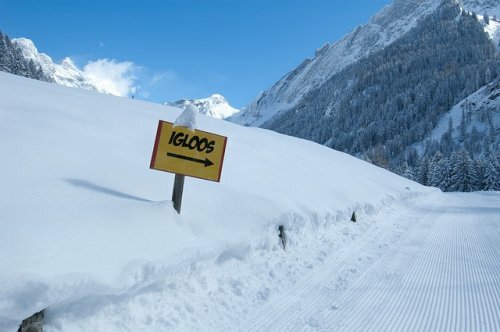 These products come in a variety of styles, and they’re good for use in the winter as well. Anything you do that uses heat will increase the temperature in your home. Cooking is one of the biggest culprits. Consider cooking out on the grill rather than using the stove. If you must use the oven, keep it closed the entire time, checking your food through the window instead of opening the door. Save oven cooking for the evening or watch the weather report for a cooler day. The steam that comes from your pans can add to the humidity in the home, so be sure to use the stove fan and keep lids on your pots for most of the cooking time. Hot air can seep in from a variety of places—the door to the basement, the attic hatch, or from around the windows. If you want to keep the hot air out in the summer—and the cold air out in the winter—your goal should be to find all of these entry points and seal them off. Caulking is a good method, but you might want to spend the money to have professionals perform this service. They’ll be able to find places you wouldn’t think of. Consider getting an air conditioner if you don’t already have one. If you have an air conditioner older than 10 years, think about replacing it. Newer models are more energy efficient, so you’ll be able to keep your house cooler for less money. The key to maximizing the effectiveness of your air conditioner while minimizing cost is to get the right size for your home. A machine that’s too small, for instance, will have to work much harder to keep your home cool. A quality HVAC company can help you select the right size and machine for you. You probably know how important it is to get regular oil changes for your car, but it’s just as important to get regular maintenance on your air conditioner. Having a professional take a look and replacing your filters regularly ensures that it’s working as well as it should be. You’ll also be able to catch and repair small problems before they become major issues. Contact Campeau Heating to learn more about what types of air conditioners and affordable options are right for you. We’ll help keep you cool all summer. Last April 1, the Ontario government passed a law to protect consumers from door-to-door sales agents trying to switch their hot water heaters to another rental supplier. Sales agents are still knocking on doors. But many have found a more lucrative pursuit than replacing water heaters. Now they’re pushing you to replace your furnace and air conditioner under a 10-year lease. While a water heater costs $25 a month to rent, a heating and cooling system can be $150 to $175 a month (plus HST). Moreover, you won’t own the equipment when the contract ends. You’ll have to pay a buyout fee to take ownership or a removal fee to get it out of your house. I’ve heard from many readers about rental sales pitches. Some said they were taken in by deceptive claims at the door and wish they had investigated before signing up. Click here to read the rest of this article on the Toronto Star Website.